Are you interested in deepening your connection to nature, plants, and their medicine? Would you like to know more about the healing benefits from the plants growing right outside your door? Do you want to learn how to make your own remedies like teas, decoctions, tinctures, elixirs, salves, syrups and flower essences? Does herbal and holistic medicine often seem too expensive, too exclusive, or unwelcoming and you are looking for an entry point which focuses on accessibility and inclusivity? Do you want to be of service to your community, to work towards healing for yourself and others through herbalism? The People’s Medicine School was created to facilitate mutually beneficial healing relationships between people and plants. To serve anyone interested, while centering BIPoC, Queer, Trans and those with an anti-oppression focus, in finding their roots in plant medicine; accessing lifelong support from the healing powers of nature, and in turn, becoming more connected to the earth and more invested in their community. The one-on-one with plants is eye-opening. The herb and medicine preparation within a beautiful community of curious and engaged herb-workers feels like “coming home” to an ancient ritual. Choose the immersion class option that is best for you! Folks who live within a few hours drive of Ithaca, NY. Folks who are able to be in the area for the day or for the weekend. Folks who want to experience the plants and the land through the seasons. Folks interested in witnessing a variety of plants and their life cycles and ideal harvesting times. Folks who live further away from Ithaca, NY and would need to fly or drive for many hours to attend. Folks interested in having time to explore the Finger Lakes area during an exceptionally beautiful time of year. Dates: FULL FOR 2019!! add your name to the waitlist -HERE! Classes take place on an abundant, beautiful, and regenerative organic farm that specializes in growing and drying herbs. The farm is an inspiration! Classes are held outside, in nature and in all types of weather. A rustic farmhouse and a greenhouse are available in case of inclement weather. Meals are a celebration of the season! Featuring delicious local and organic fare and herbal teas. For folks traveling from out of town, a range of lodging options are available for all budgets and needs. We can also assist in coordinating transportation between Ithaca and the farm, for those arriving to Ithaca via bus or plane. We will work with a few herbal allies each month focusing on how the energetics and herbal actions of the plant intertwine with the body systems, therapeutic uses and the season. We will meet the plants where they grow, take time to get to know them through deep observation, direct communication and profiling and then respectfully harvest and prepare a multitude of medicines to preserve and make more accessible the plant’s offerings. After class students will take home the medicines they made, assignments to continue their studies throughout the months, and the knowledge and confidence needed to incorporate the herbs they met into their lives. At the end of the program students will have a solid foundation in the essentials of herb work, a bountiful apothecary of hand-made medicines, and an intimate relationship with a community of local, healing plants that will ground them throughout their life-long journey with herbalism. 6 online modules contain information that is foundational to a decolonized study of herbalism which ground and complement the in-person classes. 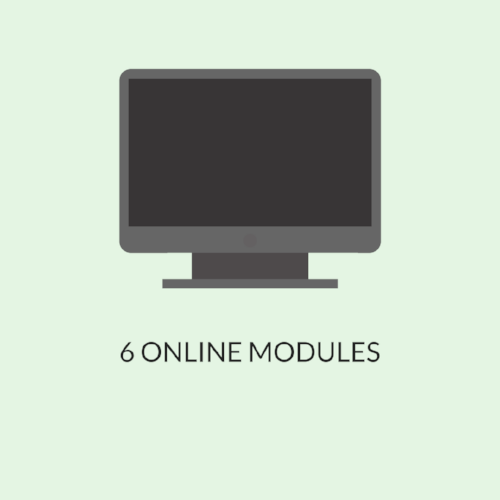 Module information is stored in the form of videos, readings, PDF's, as well as monthly assignments and a final project. Module videos cover various forms of medicine making, including internal water-based, external water-based, oil-based, alcohol-based, vinegar and honey-based, flower essences, and more. Monthly readings will cover Amanda's take on herbalism, body systems, herbal energetics, sensual herb sessions, herbal actions, protocols, recipes, supplemental readings on health justice issues, and each student will receive toi scott’s ‘queering herbalism’ from which we will have readings and discussions. A Certificate in Community Herbalism is awarded to folks who attend all classes, work through the online modules, complete the monthly assignments and the final project. This course a solid foundation in community herbalism and in building intimate relationships with plant allies, and is not a clinical training program. is a mother of 3 and upstate New York native, where she has been practicing herbal medicine for over 20 years. She has apprenticed with notable herbalists including Susun Weed, honed her clinical skills with Margi Flint, and is currently continuing her herbal studies with Dr. Aviva Romm. She has been a seasonal farm worker, worked as a birth doula, completed the intern program at the Herb Pharm, started community gardens, and graduated from the Chartered Herbalist program at Dominion Herbal College. Through her classes, workshops, courses and apprenticeships she has taught over 1,000 students from across the globe. Read more about Amanda. I loved being on the farm around such a diversity of magical plants changing through the seasons. I really liked the number of plants we worked with each day and the way they were grouped (ie therapeutic and seasonal affinities). I loved being in a group that was more diverse humanly than many of the herbal spaces I’ve been in. Join our 2019 course by submitting a deposit of $250 and your application at the link below! The People's Medicine School accepts a small cohort of new students each year and traditionally sells out by the end of March. If you are interested, submit your deposit and/or inquire below to guarantee your space. Amanda is very patient, very open, and very careful in her explanations of things. She also exudes an aura of trusting her students/fellow workers to do the right thing with adequate instructions. I love working with her and hearing her strong, quiet love for what she does. I don’t live close by. Can someone help me find a place to stay and transportation? Yes! We will provide you with a listing of accommodation options from rustic camping to luxary b & b’s. We will also provide information about local transportation, carpooling and airport shuttle service. A non-refundable deposit of $250 is due upon registration. The remainder is due no later than the first day of class in May. 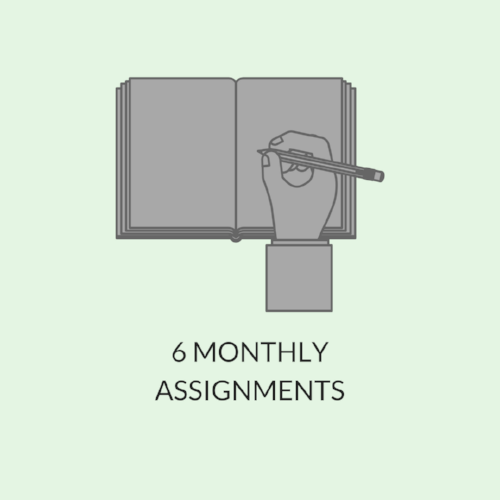 For folks on the 6 month payment plan, payment is due by the 1st of each month (June, July, August, September and October). What materials do I have to bring? What does a Certificate in Community Herbalism mean? It means you have successfully completed the course and one step on your never-ending path with herbal medicine. It means you made and fulfilled a commitment to yourself, to the plants and to your community. It means you have gained a solid foundation in herbs as the peoples medicine, how to sustainably grow and harvest them, and how to make medicine with them. There is no legally recognized accreditation or licensing in herbal medicine. How can a certificate in Community Herbalism help me? Many people are drawn to community herbalism because they'd like to develop an understanding of utilizing plant medicine for the benefit of own health, their family's health, and the health of their community. A lot of people layer in a certificate in Community Herbalism along with their careers in the culinary arts, nursing, birth work, healing arts, community work, farming, medical practices, and more. I cannot afford that price. Are there any scholarship options? We strive to make this opportunity accessible to all who are called to participate, while still recognizing that we must be able to pay our bills! There are 3 work-trade positions available, payment plans, possible trades and 1 partial scholarship available to a person of color who could not otherwise afford the program fees. Please get in touch for any of these options. I’m interested, but have more questions. How can I learn more? Get in touch! We are thrilled to talk more and answer any questions you may have! How does the People's Medicine School center Queer, Trans and BIPoc (Black, Indigenous, People of Color)? Rootwork Herbals and the People's Medicine School are informed by our community of Queer, Trans and BIPoC. We create space for inquiry, challenge and transgression of oppressive and colonial structures in our mission, our practice, and our study. We also prioritize BIPoC folks in our application process as a means of equity-building. How many people can join the People's Medicine School each year? The Monthly Immersion Class Cohort is limited to 25 students. The 5-day Herb Camp Cohort is limited to 10 students. A monthly experiential class focusing on using all of our senses to re-awaken our direct communication with medicinal plants. Each month our conversation with be with one herb utilizing energetics and perception. Our discussion will also include properties, preparations, uses, samples and fun! HERBS TALK takes place the fourth Friday of every month from January - April, 7:00pm - 8:30pm at Bramble Apothecary in Ithaca, New York. Classes cost $25 (sliding scale) and include a tincture. Space is extremely limited so we recommend buying tickets in advance. It is an honor, blessing and a joy to be able to work with apprentices and the plants towards our collective healing. This apprenticeship is reciprocal in nature. Apprentices help me by working and providing feedback and I help them by teaching and providing experiences. And we help each other by building relationships. The work done on apprenticeship days will vary with the seasons. Medicine making, pressing tinctures, bottling, labeling, washing jars, cleaning, organizing and filling orders are frequent indoor activities. Gardening, wild-crafting, harvesting, processing fresh herbs, weeding, and mulching are frequent outdoor activities. This apprenticeship centers QTBIPOC (Queer, Trans, Black, Indigenous People of Color) in its foundational principles and recruitment. *We also currently have an opening for a long-distance apprentice who can help with social media and digital marketing. The apprenticeship is a 4-month commitment. The apprenticeship can be extended in additional 4-month intervals if mutually agreed upon. Apprentices commit to working the same 5-hour shift each week. The work-trade-learn days are Tuesdays +/or Wednesdays and generally run from 10:00am –4pm. Prior knowledge of farming or herbalism is not required. Commitment, a desire to learn, a good attitude, communication skills, willingness to work and reliable transportation are required.